In this week’s edition of Antelope Intros, we learn more about an employee who has rekindled an old flame and another who has quickly warmed up to the Valley. This week’s Antelope Intros feature a new employee who has an interesting cousin and one who has a curious way of using his head. They have two things in common: their love of GCU and the outdoors. This week’s Antelope Intros feature two enrollment counselors, one a foodie and the other a filmmaker. 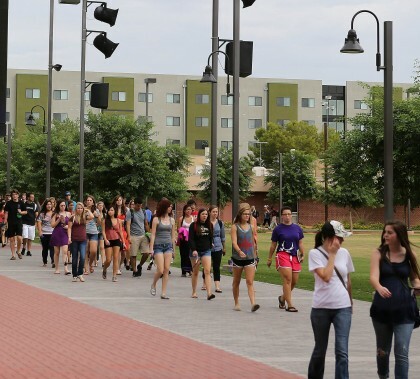 They have one very big thing in common — they love being at GCU. This week’s Antelope Intros feature two new employees who like to help people and get out and do things. One of them had a hairy adventure on her 21st birthday. This week’s Antelope Intros feature a new employee who had a unique way of preparing for her first exams in college and another who has gone to great lengths to devote her life to the care of children. This week’s Antelope Intros feature two enrollment counselors, one who works in Tempe and another who’s in Peoria. Whether tracing family history or providing a skill that translates well, they both are self-starters. While Grand Canyon University’s campus is safer than many, students, faculty and staff are encouraged this week to sign a pledge statement to a universal “commitment to help keep women and men safe from sexual assault.” The effort is part of the national “It’s On Us” campaign launched by the Obama administration. This week’s Antelope Intros include the stories of a former GCU student worker who became a full-time employee after graduating and of a California resident who started working here because of the great experience she and her family had when they just happened to visit campus.